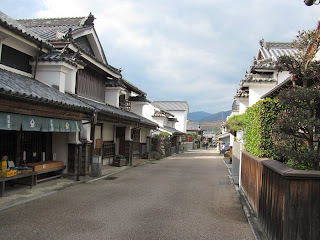 Took a Sunday morning stroll down the main street of Wakimachi village, Tokushima prefecture. 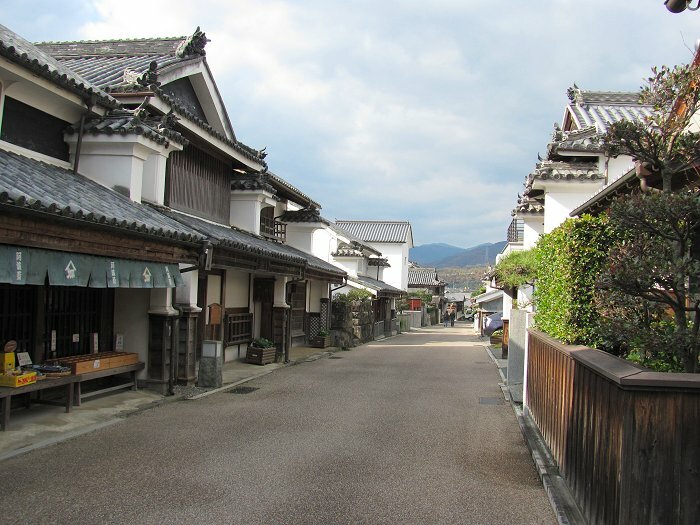 This street is known for its "udatsu," the thick wall extensions about the first floor eaves of the building lining the street. The udatsu were built to slow or prevent the spread of fire from one house to the next in the event of a conflagration.